Browse » Home » Publix Deals » Publix: Store coupons are the best! Publix: Store coupons are the best! Now that Walmart accepts Publix BOGO deals in Florida, what's keeping customers at Publix? Besides the clean, stocked, well-organized stores and the friendly, helpful staff, another great part of shopping at Publix is that there are lots of store coupons available! Those coupons won't be accepted at Walmart, so to save the most, shop at Publix and combine manufacturer's and store coupons - both from Publix and from other stores that your local store accepts. I headed out to Publix on Wednesday to get some deals based on Publix store coupons from the new green Grocery Flyer and the new purple Health & Beauty Flyer, as well as the Healthy Savings and Start Your Year booklets. I was also able to get some Green Giant chips, which were sold out when I went at the beginning of the sales week. 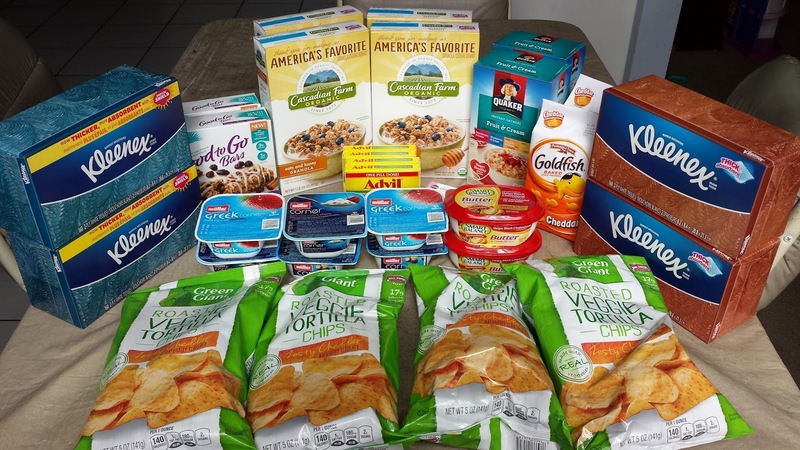 And, I picked up more of the South Beach diet bars, Quaker oatmeal, Cascadian Farm granola, and Goldfish crackers that I got last week as well. Yum!